Fighting over Edgar Allan Poe’s remains? This weekend the New York Times reported on the “ghoulish argument” between Philadelphia and Baltimore over the scribe’s final resting place. He’s buried in Baltimore, where he lived as a young man and later died under mysterious circumstances during a return visit. Edward Pettit, a Poe scholar in Philadelphia, argues that Poe should be re-buried in the City of Brotherly Love because he wrote some of his most noteworthy works while living there. I had the chance to meet Mr. Jerome last fall when he gave me a fascinating tour of the Poe House in Baltimore, Poe’s former residence and one of four literary landmarks devoted to the writer. The others are the Poe National Historic Site in Philadelphia, the Poe Cottage in the Bronx, New York, and the Poe Museum in Richmond, Virginia. 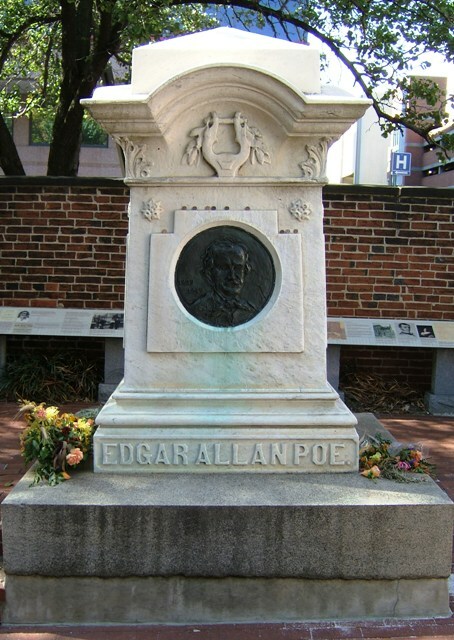 January 19, 2009, is the bicentennial of Edgar Allan Poe’s birth, and celebrations at the sites are being planned. 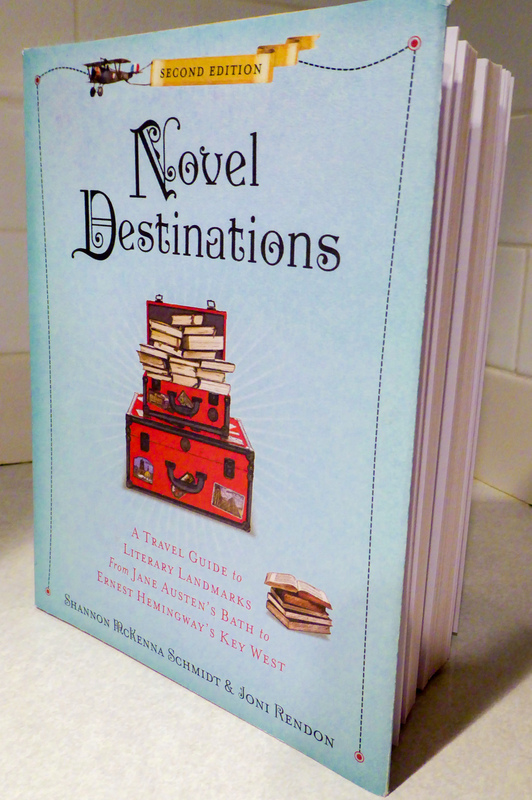 And I’ll be in Baltimore from Oct 9-12 attending the mystery writer’s conference, Bouchercon, making my case on a Poe panel. NEWSWIRE–A scholar of Edgar Allen Poe says that because the author wrote most of his works in Philadelphia, his burial place should be moved to there from Baltimore. Hopes his casket might be stolen, stolen as it holds his gore. Leave him where he is. It’s obvious the man had trouble being at peace in his life. Let him be at piece now. Plus why ruin the history of all of this. Leave Edgar where he is. I want to visit him in Baltimore some day! Don’t worry Wyatt. That second rate would be bodysnatcher from Philadelphia won’t be moving anything from Baltimore.